A great breast augmentation is the result of many key components—and one of the most important factors for achieving results you’ll love is your choice of breast implant. But where you do you start? Here at BEAUTY by BUFORD, we offer the latest generations of breast implants, such as the new INSPIRA breast implant line. Whether you’re interested in silicone gel, gummy bear implants, or saline, we will be able to help you choose a safe option that provides a beautiful outcome. While the best way to determine which breast implants will give you the best results is by meeting with a board certified plastic surgeon like Dr. Buford, there are a few things to consider as you begin your breast augmentation journey. Given the significant advantages of cohesive gel implants over their saline counterparts, Dr. Buford generally prefers gel implants for his patients. They simply provide a more natural look and feel than saline. Recent data released from both Allergan Medical and Mentor Corporation documents that the new gel implants are almost twice as durable as saline. In fact, they are so confident that these implants are superior, both manufactures provide a lifetime warranty for their silicone gel breast implants. Learn more about Cohesive Silicone Gel breast implants warranty, and the advances made from the earlier types of silicone implants to the silicone breast implants of today. Implants also come with either a smooth or textured surface. Earlier gel implants were noted to have a higher risk for capsular contracture, so texturing of the surface was developed to reduce this incidence. Improvements in the design of both the shell and an increase in cohesiveness of the implants have significantly reduced this risk and made texturing unnecessary. The only area where texturing is important is in the case of the highly cohesive shaped gel breast implants, commonly referred to as the “Gummy Bear” Implants. Here, texturing is designed to hold the implant in place so that it maintains its orientation and does not turn in the tissue pocket. With this in mind, at this time Dr. Buford uses either smooth implants or textured anatomic (gummy bear) implants depending upon which option is best suited for your body and your ultimate goals for breast augmentation. 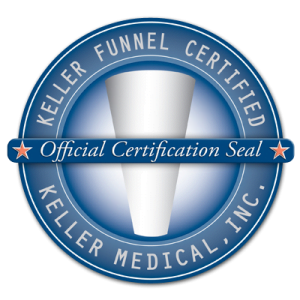 An advancement in silicone breast augmentation placement, the Keller Funnel™ allows Dr. Buford to place silicone gel breast implants with smaller incisions, reducing risk for certain complications, and increasing precision. The final, and potentially most important, detail to consider is the size of your implants. Before you embark on this journey, speak to friends, review website before and after photos, and really determine what size range you feel would meet your goals. Are you looking to regain lost volume as the result of breast feeding or weight loss, or have you always wanted larger breasts and decided now is the right time? Whatever your reasoning, Dr. Buford and the experienced team at BEAUTY by BUFORD will do everything they can to help you achieve a natural and proportionate result. To help you select the most appropriate size, we will measure you at your initial consultation and ask that you bring photographs which best show the results you’d like to see. We want your implants to be just right for you! Dr. Buford will be happy to discuss breast implant types with you in a consultation at our practice here in Denver. He will explain all aspects of each type of implant, and together you and Dr. Buford will determine the best implant for your needs. Please contact BEAUTY by BUFORD to schedule a consultation.